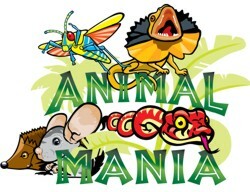 Animal Mania have an experienced and enthusiastic team. Whilst Customer satisfaction is extremely important, we always ensure the safety and welfare of both our Customers and Animals at all times. Looking for a college placement or work experience? Click here for more information. A father of three sons and stepfather to two, John has always had a keen interest in and love of reptiles. Before meeting Carla John had kept pet king snakes. He is the main reptile keeper at Animal Mania, building their accommodation, checking heating and lighting and feeding requirements. When they met in 1998 John also became interested in animals of the furry kind. Together they began to keep a variety of different pets including exotics. In 2004 Animal Mania was set up, firstly providing holiday care for small animals. John began visiting schools, nurseries, residential care homes etc in 2009. He enjoys his work very much especially working with the elderly. Carla had always kept animals as a child. Family pets included dogs, cats, rabbits, guinea pigs and hamsters. Her family were all keen animal lovers. After meeting john in 1998 she also grew fond of reptiles and exotics. Together they began keeping many types of animals including: rabbits, guinea pigs, chinchillas, frogs, lizards, snakes and ferrets. In 2003 Carla attended Pershore college to study animal care. She successfully completed the courses gaining a H.N.C. in animal care, to include: (animal management, animal welfare, animal nutrition, animal behaviour, customer care, k9 psychology, and project planning) wildlife care and rehabilitation certificate, animal first aid and microchipping certificate. In 2005 Carla was asked to visit a children’s nursery with the animals. Carla & John now visit children’s nursery ‘s, schools, special needs groups for adults and children, (some of Carla’s favourite work) residential homes for the elderly, holiday clubs, brownies, guides, cubs and scouts, fetes, festivals, carnivals, shopping centres and children’s parties. Tash met Carla & John a few years ago when they looked after her Bearded Dragons while she went away on holiday. Tash too had a strong love for animals as she was growing up. After leaving school she decided to attend Pershore College to study animal care. Carla & John gave Tash a work placement to run alongside her college course. In 2010 Pershore College funded an apprenticeship for Tash at Animal Mania. Tash enjoys her work, at home she has a Bearded Dragon, Corn Snake, Rabbit, two Gerbils and a dog of her own. Carla & Johns son Kyle adores animals. He already helps out at Fetes and Birthday Parties, and has a particular love for greyhounds. 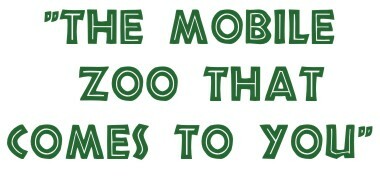 Kyle will hold all of the animals and can tell you a bit about them.